Christiaan D. Horton is a shareholder in the Litigation/Dispute Resolution Practice Group and the Transactional Practice Group of Carnahan, Evans, Cantwell & Brown, P.C. He concentrates his practice in the areas of business, commercial and civil litigation, mergers and acquisitions, corporate and business law, real estate and construction law, condemnation, environmental and utility law. He also represents select clients in certain areas including employment law and probate. Mr. Horton’s experience representing electric cooperatives and utilities includes representation before the Missouri Public Service Commission as well as state court litigation related to board governance, contract disputes, and right-of-way condemnation actions. He is also involved in drafting a wide range of utility contracts and assists clients with regulatory compliance in all aspects of their operations. Mr. Horton has also represented numerous clients in construction law disputes in both state and Federal court, including actions on surety bonds and those involving Receiverships, Miller Act claims, and the enforcement and defense of mechanic’s lien actions. He also assists clients in the formation and negotiation of contracts for commercial as well as residential construction and development. In his environmental practice, Mr. Horton has represented individuals and companies through the permitting process, and has defended clients in state and Federal actions under the Clean Water Act, the Resource, Conservation and Recovery Act, the Clean Air Act and corresponding state regulations. He also devotes significant time to representing clients in real estate acquisitions that involve potential environmental liability and has extensive experience in drafting environmental liability and indemnity provisions and advising clients through the due diligence process. 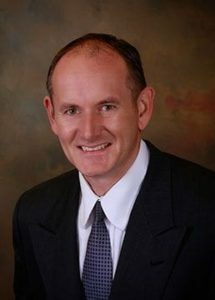 Mr. Horton has assisted many clients buy and sell businesses, from small companies to multi-million dollar corporations. His transactional practice also includes business formation and corporate governance matters, and is strengthened by his litigation experience. Mr. Horton has been a member of the Missouri Association of Trial Attorneys since 2004 and was honored in 2009 and in 2010 with recognition as a “Rising Star” in the Missouri and Kansas “SuperLawyers” publication. He has also served as an Assistant Attorney General for the State of Missouri in the Consumer Fraud Division and was a Partner at The Law Firm of Neale & Newman, LLP for twelve years prior to associating with the Firm in 2012. While in law school, Mr. Horton served as the Editor-in- Chief of the Energy Law Journal and was also Student Editor-in-Chief the Natural Resources, Energy & Environmental Law Year in Review. He was selected by his peers to deliver the commencement address upon graduation. He has authored a chapter in the “Missouri Environmental Law Deskbook” published by the Missouri Bar, and is a current author for the “Environmental Law and Regulations section of the Court’s” and CLE Bulletin also published by the Missouri Bar. He is a member of Leadership Springfield, Class XVI, and was honored as one of Springfield’s “40 under 40” for his outstanding contributions to the community and his profession in 2002. Mr. Horton serves as an adjunct professor and teaches Environmental Law and Regulations at Drury University. He is also currently serving as Chairman of the School Board of New Covenant Academy, a Christian school offering private education K4-12. He is a member of James River Assembly in Ozark, Missouri.